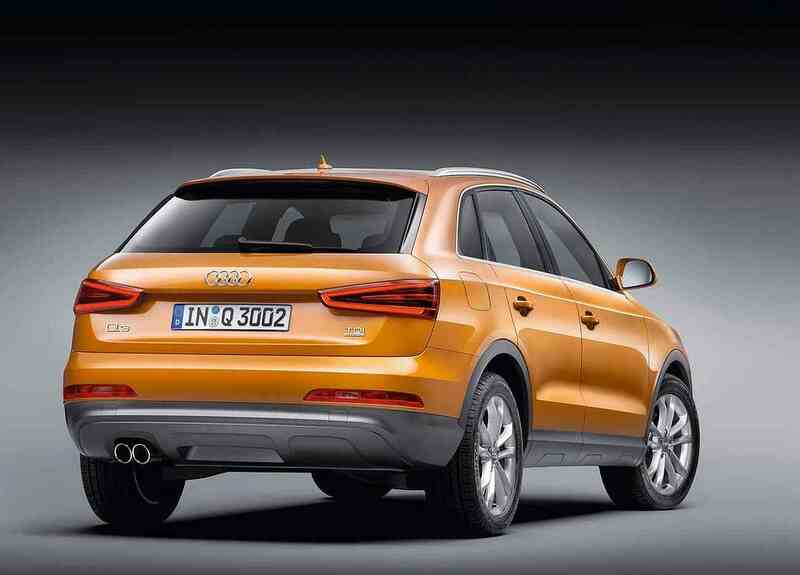 The much awaited Audi Q3 was first revealed at the prestigious Shanghai Motor Show in China (April 2011). It was seen in Metallic Samoa Orange and surely stood out at the motorshow, not just because of its shade but also because of the Audi styling on this juniour SUV. Audi are going to be showcasing the Q3 Sports Utility Vehicle in their showrooms by November 2011 for and from £24,450 to around £25,000. 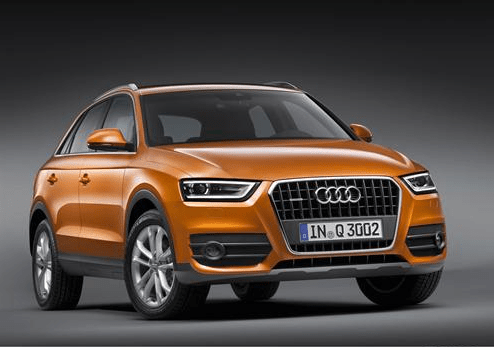 The Audi Q3 is one of Audi’s finest SUV’s from the Q series, it is not outdone by its competition which are the BMW X1, the Range Rover Evoque, and the Ford Kuga. The Q3 is being predicted as a best-seller and will be able to cater to families and effortlessly handle the inner city runs and long haul journeys to wherever it be, the Q3 has a maximum horsepower of 211 on the petrol engine and as for the diesel the horsepower produced is 175. In the 1980’s Audi who were the first to be successful with a Four wheel drive system and known as creators of the successful ‘Quattro’ which means ‘four’ in Italian, came from a victorious history in rally and commercial production of the Audi Quattro. Audi are recently stamping their authority on the quattro in the SUV department. This Quattro series consists of (from smallest to largest model) the Q3, the Q5, and the Q7. The Q3 is 4390mm in length,1830mm wide and 1600mm tall – providing enough space for the family and all the equipment required for those off-road camping holidays or rock-climbing weekends or holidays abroad. The Q3 comes with 5 doors and is seen as a car for everyday use and every lifestyle, and for those looking for a bit of umph the Q3 has it – with a top speed of 125mph to 143mph! And the Q3 does 0-61mph in 6.9seconds! The Q3’s four wheel drive gives it brilliant cornering, ‘superb’ control, and excellent grip which will ensure a comfortable drive in all conditions; the Q3 is prepared for rain and bad lighting with its automatic rain sensing wipers and automatic night sensing lights. The Q3, Q5, and Q7 all entail the way the ‘quattro’ system has developed and evolved since the 1980’s and will highlight the importance of todays’ four wheel drive. The Audi has a 2.0 four cylinder engine with a start-stop function, and has off-road capabilities, which can see the Q3 drive through shallow streams and rough terrain, its ground clearance is a substantial 185 mm and the Q3 has a wading depth of 500 mm. Audi which is a German company is owned by car producer Volkswagen which is also German; Volkswagen have a couple of SUV’s and the Q3 is inspired by Audi through its parent owners – Volkswagen, and the Audi Q3 is seen to also resemble the VW Tiguan which has the same drive-train and engine. In comparison the Q3 is far more sportier and luxurious with all the latest modern conveniences you would find in most luxury cars. The wheels are 17″ and alloyed and there are a range of spoke designs to select from – and the wheel base is 102.5 inches. The car is light-weight compared to its brothers Q5, and Q7, it weighs in at less than1.5 tonnes. The Q3’s height provides plenty of space within the car and adds to the cars SUV looks; although is seen as a ‘crossover’ – from the sports car and hatchback which Audi have incorporated into the design. Fine lines and curvatures across the body give the Q3 a sleek look and combined with the doors which are indented and wide – (for aerodynamicity) – a strong look. The wheel arches are flared and muscular, and the grill is also big and muscular, the Q3’s body leans forward like a Rhinoceros about to charge! The Q3 SUV comes with roof rails which comes as standard perfect for every transporting need and leaving you with plenty of space from what is left available inside. The best thing about the Q3 is its stylish features and design; when you view the exterior of the car, you find fine design lines and style from every angle. The word Quattro deriving from Italian and its relationship with the German Audi Q3 should meet the Italians standards in style. With Audi’s slogan of Vorsprung Durch Technik (advancement in technology) this car has many technological advancing features too. There are four driving modes with one of those modes being called ‘efficiency’ (and maximises the fuel efficiency), the others are called comfort, dynamic, and auto. As for CO2 emissions the Audi’s top of the range petrol model produces 179 g/km and some of the other models are less, as for the diesel that produces 158 g/km to 184 g/km. The interior is like the Samoa Orange colour of the car, its extravagant and is modern in every sense. The exterior is made of aluminium and steel giving it a lightweight for agility as well as strength for those off-road treks. The cars large windscreens and perfect height provide a good view in every direction. The Q3 standsout and the lights are well shaped, curved, and modern with xenon lights and use of LED to give it a futuristic look! There are also fog lights at the front and rear. The car looks good from the back end especially with a spoiler and a twin exhaust, adding to the car’s sporty features! 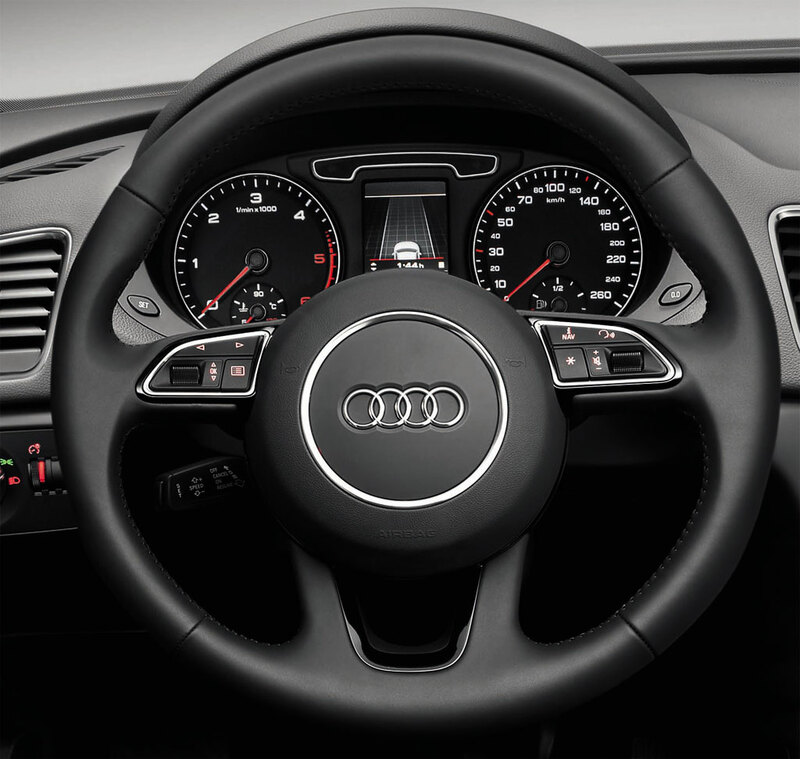 The Q3’s steering wheel is four spoked and leather and provides exceptional handling alongside the ESP program on the car; the steering wheel also has a range of buttons to control variants such as the radio station via the onboard computer which flips up and is 6.5inches. You can at extra cost have paddles put in behind the steering wheel to provide a sportier and luxurious drive. The Q3 comes with a dual zone climate control which will always be useful for those sitting in the front and back. There is also compatibility for Ipod’s and Music players. There are 8 speakers in total with a maximum output of 80watts and there is an option at extra cost for a Bose` system. No need to worry about the outside noise as the windscreen and the other glass is acoustic for reducing noise. As mentioned before the Audi Q3 range will signify the four wheel drive ‘Quattro’ in SUV circles, Audi have come a long way since their first Audi Quattro – and the Q3 continues the legacy – and looks to do it similarly to their history – successfully. The Q3 looks to be a best-seller, look out for it in the showrooms in November 2011!